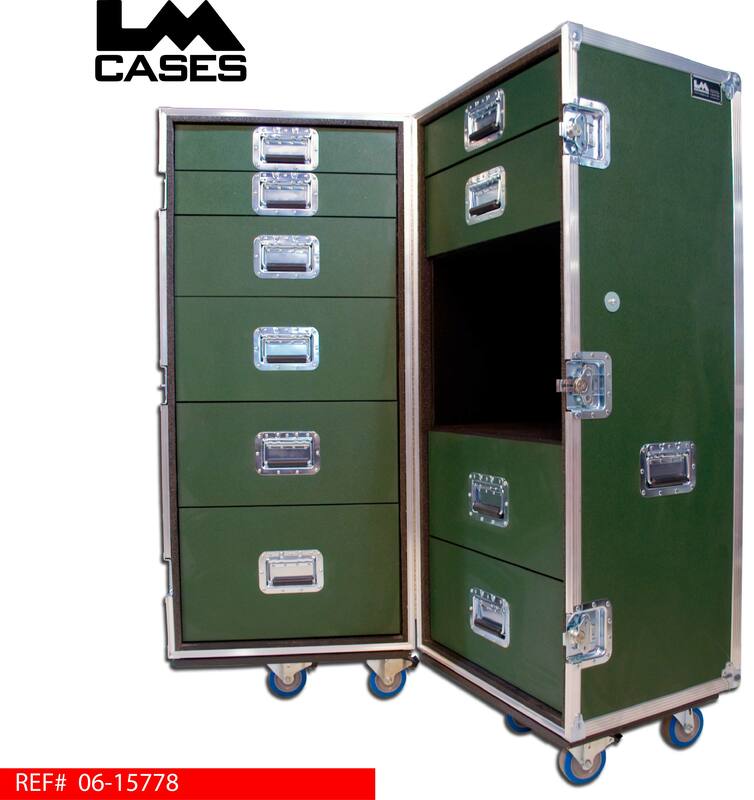 This case was built for RCI Sound Systems in Maryland. 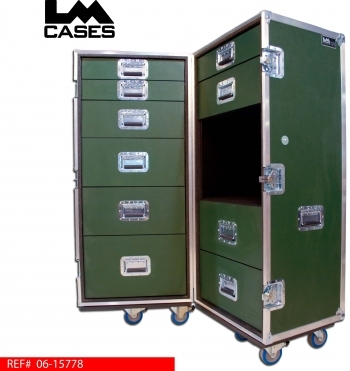 The case is built out of 3/8" plywood and features 10 drawers mounted on heavy duty Accuride drawer glides, the case also features a work surface. 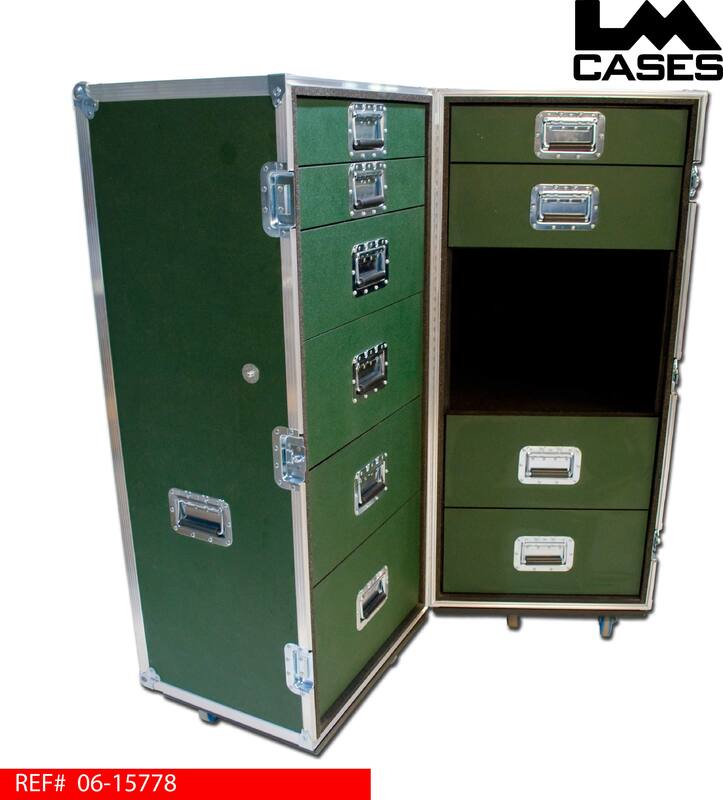 The case is using a forest green laminate and 4" Colson casters.